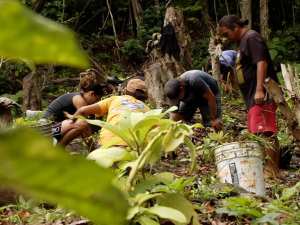 Papa Mau: The Wayfinder is a feature-length documentary that takes a retrospective look at the influence of Mau Piailug, a native from the tiny Micronesian atoll of Satawal, on reviving the art of non-instrument navigation in Polynesia. In Satawal, navigators are chosen at birth and begin training at an early age, and Mau was recognized as a master. In Hawai‘i, many aspects of Hawaiian identity, including non-instrument navigation, had fallen victim to Western influence. 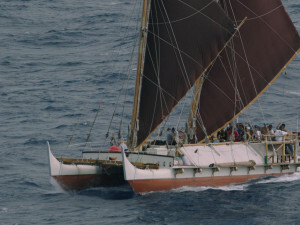 Motivated by a desire to reclaim this Hawaiian identity and pride, a small group of visionaries came together to build a voyaging canoe in the ancient style. 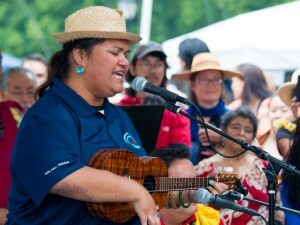 The dream was to sail along the pathway recounted in oral traditions to Tahiti. The critical missing component, however, was a navigator trained in the traditional ways. While the art had faded in Polynesia, it lived on in Micronesia, in Mau. He agreed to navigate Hōkūle‘a on her maiden voyage to Tahiti using only his knowledge of the heavens and the ocean. That union of navigator and canoe became a driving force, reawakening cultural pride and unity throughout Polynesia. 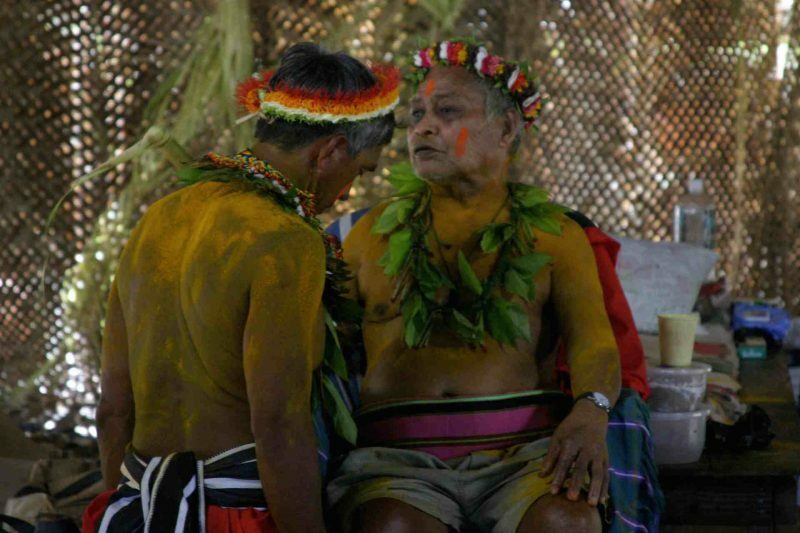 Papa Mau: The Wayfinder documents this 30-year adventure. It is a story of challenges, testing and mending of relationships, and even loss of life. But more importantly, it is a story of courage and hope. 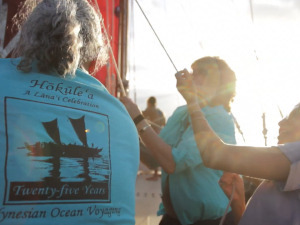 Sail along on this remarkable journey and share Mauʼs story of reinvigoration, reconciliation, and redemption of a people as the master wayfinder that breathed life back into the sails of Polynesiaʼs voyaging tradition. I would really like to know why Papa Mau left after the first voyage to Tahiti. I’ve heard stories about someone bringing navigational insturments on board the Hokule`a and that it was found prior to landing at Tahiti. Why didn’t you show what happened. We must always provide the truth and not try to hide it. @kaleo9 theres nothing to hide and its not a conspiracy… the Hawaiians and scientists didn’t get along. They had different perspectives on what the voyage was about. A physical altercation took place on-board and that kind of behavior on a waʻa was unacceptable to Mau. It’s very informative and Educational to learn about my culture and other cultures.